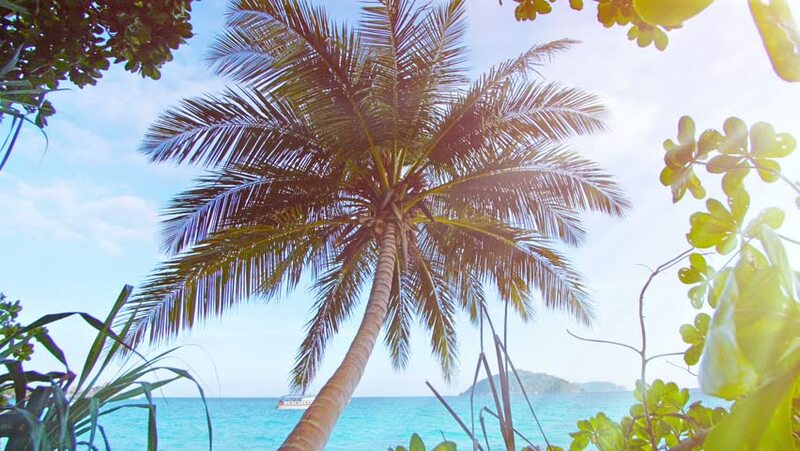 FullHD video - Gentle breeze gently stirs the fronds of a coconut palm on a peaceful. tropical beach in Thailand. with the Andaman Sea in the backround.